--Bill McKibben, Author, Hundred Dollar Holiday: The Case For a More Joyful Christmas. The house lights go off and the footlights come on. Even the chattiest stop chattering as they wait in darkness for the curtain to rise. In the orchestra pit, the violin bows are poised. The conductor has raised his baton. In the silence of a midwinter dusk, there is far off in the deeps of it somewhere a sound so faint that for all you can tell it may be only the sound of the silence itself. You hold your breath to listen…The extraordinary thing that is about to happen is matched only by the extraordinary moment just before it happens. Advent is the name of that moment. Every year I try to nudge folks to reconsider the Christmas chaos, by rediscovering Advent. 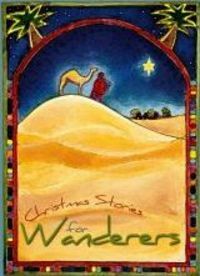 Since Christmas is a season that lasts twelve days (until Epiphany), I'll continue my series on Christmas stories for wanderers. This one was written with four particular friends in mind. All of them are highly intelligent, deeply articulate, and having once followed Christ are now agnostics of different sorts. Every time I am with one of them my faith is challenged to go deeper. I respect them greatly and their friendship is a gift to me. This is my attempt to have something worthy of their friendship and my own faith. Robert Robinson came from a poor family; his father died when Robert was a child and his mother sent him to London to learn barbering when he was a teenager. Instead he fell in with a gang and was involved in vandalism, looting and petty theft. They went to heckle a traveling evangelist, George Whitefield, who was preaching in the town square but Robert encountered the Lord Jesus and eventually accepted him as his Savior. He went on to become a renowned preacher and pastor, as well as a writer of extraordinary hymns and was well known throughout Europe. But late in his life he left the faith. We don’t know all the reasons why, we don’t know the circumstances, but the story is told that there came a day late in his life when he was traveling by stage coach, seated next to a woman who was humming the hymn Come Thou Fount of Every Blessing (“Prone to wander, Lord I feel it…”). Mr. Robinson died shortly thereafter. Come Thou Fount is one of my favorite hymns and that story is one of the saddest—and I am afraid, all-too-familiar—ones I know. Every year at Christmas time I become more aware of the wanderers in my life who have truly left home. Friends and family members who once had a vibrant faith, but have now grown cynical of the simplicity of belief and hypocrisy of believers. Students who came to Christ through my early ministry that decided to leave behind discipleship with their college years to instead seek more of the world as they make their way in the world. Those folks that I run into here in town that not too long ago were taking vows of membership, being baptized, committing their lives to learn and grow and serve, who look at me sheepishly and try to explain that they are now so busy that they don’t really attend church any more. Some of them left disillusioned by church that seemed little different than any other gathering of people. Some of them left disappointed in their pastor-friend who let them down or didn’t live up to their expectation. Some of them left despairing that prayers have gone unanswered or that life had taken a cruel turn. And I find myself praying for them even more intently at this time of year. I pray that an old song will stir their hearts to long for their spiritual home with Christ. I pray that they might stumble into a church or hear a message on a web, or sit down at a Starbucks with someone who reminds them that they once knew and believed the unbelievable good news of the God who came to this world to seek and save the lost and if nothing else, they would whisper a prayer that would send them on a journey back into the community of faith and into the footsteps of Christ. But part of the reason that I am aware of wanderers so much at Christmas time, is that for many of my friends the Christmas story is part of the very reason they state for wandering away. Somewhere amidst the disillusionment, the despair and the outright defiance is also a profound, and often respectable, intellectual disbelief. And frankly, I understand this. ...A story for those how have wandered off and don't know how they got there. Merry Christmas. I imagine that most people aren't reading blogs today. Maybe a peek at a favorite after opening presents, maybe a quick scan late in the evening. But mostly, we'll be too busy enjoying this day to be reading about it. But, just in case someone out there finds himself lost and alone on this Christmas day, I have posted a Christmas story just for you. 76”And you, child, will be called the prophet of the Most High; for you will go before the Lord to prepare his ways, 77to give knowledge of salvation to his people by the forgiveness of their sins. This post looks specifically at those of us who have been, at least at sometime, part of the flock of God. We may have grown up in church, grew bored in Sunday School and ran away from "organized religion" as fast as we could. We may have experienced a painful disillusionment, or followed the voice of someone who led off into a wild place. But wherever we are right now, we remember learning that we are the sheep of his pasture and he is our good shepherd, as the scriptures so often describe it. But like sheep who have ended up lost in the wilderness, vulnerable to the beasts of the field who come in the dark of night, we have become deaf to the shepherd’s voice, disconnected from the flock. In Matthew 18:12 Jesus uses this imagery to offer a quick parable to his disciples to talk about the love of God revealed in his Kingdom ministry. What do you think? If a shepherd has a hundred sheep, and one of them has gone astray, does he not leave the ninety-nine on the mountains and go in search of the one that went astray? But in this post, I want to use the version of the story that Jesus tells in Luke 15. Remember this version was directed to the Pharisees and scribes, religious folk who were grumbling because of the kinds of unreligious folk that Jesus hung out with. See if you can spot the difference the difference between the version that Jesus tells to his followers and the version that he tells to religious folk who may not clearly understand his ministry, because the difference in emphasis can make all the difference to us today. ...A story for those in a far off land. There is always a "back story" to those who come wandering back. And this story speaks of those who didn’t just wander off, but took off without looking back. If there had been a door we would have heard it slam behind him with a sense of finality. And it raises a question for us: What if we haven’t just “wandered away” from God, but literally walked out? What if we have kicked the dust off our feet, thumbed our noses turned on our heels, cut off all ties, and headed off to a far off land? And what if we decide somewhere along the way that we wish we could go home again? What then? What does the Christmas narrative of the one who is named “God saves” and “God is with us” say to us? In Luke 15 Jesus told what I believe is the most important story in the bible. I am sure that most of us know it and if nothing else you have probably seen it depicted in art, like Rembrandt’s famous “Return of the Prodigal.” But maybe we can all hear it again tonight. It happens every year at Christmas time. It might be caused by a childhood memory of a candlelight service, or hearing a choir singing Silent Night. It might be listening to a soulful version of O Little Town of Bethlehem and daring to believe that your “hopes and fears of all the years” could be met in the Babe that night. It often occurs at our last service on Christmas Eve night, or in our Christmas Concert, or in a Sunday worship where somebody slips in the back late and slips out early. But it happens. Every year. Every year at Christmastime somebody unexpectedly wanders by, or wanders back, or maybe, wanders in. Someone who is outside the faith thinks about coming “in” for a look. Someone who has forgotten the ways and will of God remembers the grace and love of Christ. Someone who thinks that there is nothing more awesome than the beauty of creation falls silent at the possibility that the Creator may really have come to this world and is reaching out in love. This Advent and Christmas Season is dedicated to contemporary magi, wanderers and prodigals and this is the story that they we all most need to hear and most need to share. Do you know someone like that? Are you someone like that? Maybe you are like the couple who shared with me that for weeks before they finally got up the nerve to attend a worship service they used to do church “drive bys”. They would get up on Sunday morning, drive by a church, see if they thought they would fit and if they didn’t they would go to breakfast and try again the next week. One day they drove by our church, got up their nerve, wandered in and have stayed ever since. Or maybe you know someone who used to be deeply rooted in a faith community and living out a life of faith until something happened. A life circumstance, a Christian whose hypocrisy painfully disappoints, a struggle with sin, something that made them turn away and wander off. And wander in (like those who began to follow him, not really knowing where he would lead. But let’s begin with those wanderers who knew that they were not where they wanted to be. Those seekers who searched the night sky to see a sign of the light of the world, the would-be king of the world and who set off wandering across the world. There are times when we talk about finding God in Christ. Infinitely truer is it that in him God finds us. We hardly dare lose sight of that, with the poor, fitful search we make, that cannot rightly be called a search, little more than a groping discontent, and a distant, formal, weary doffing of the hat. If anything ever happens in our lives, it will happen because wherever we hide ourselves, in what dark corner, there is a love that whispers and prods about there with its wounded hands: walking yonder on the streets, hungry, and someone yesterday gave him food; thirsty, and someone gave him drink; a stranger, and someone took him in. Ben Witherington offers a fine exposition on both Luke's telling of the Christmas Story and Handel's putting it to music. The baby lying in the manger reminds us, not of the inherently righteous character of those God came to favor. It reminds us not of the inherently good character of all humanity. It reminds us that in spite of everything we have become, God still loves us, and has provided a means by which we may be saved, if we will but respond to the Good News, if we will but welcome this one child into our homes and lives. Handel was right when he finished writing Messiah and said 'I did think I saw heaven open, and the glory of God revealed'. Indeed, what redounds to God's glory more than anything else is his salvation plan of other-directed love that includes the least, last, and lost, as well as the first, most, and found. The Hound of Heaven has come down, and is on the loose in the world, in the form of an unassuming, beguiling child. Christmas is for everyone, everywhere--- but will you merely 'keep Christmas', or will you give it away? In a post at his site, Ben Witherington offers the best Christmas sermon I have heard (in this case, read) in a long time. He uses good old fashion scholarship to help us read an old story with fresh eyes challenging the notion that Mary and Joseph was turned away by a callous innkeeper, but more likely that they crammed into the back of a house of a relative who had "no room in their guest room" and could offer up nothing else but the stable. Witherington asks us to consider that the real thing is both more believable and more challenging than many of our best intended morals-of-the story. Jesus was born in his relative’s home, in the place where they kept the most precious of their animals. One can well imagine the smell in that room, and probably the shock of the Magi when they saw where the King was born. But this story is not meant to meet our expectations or desires about what a Christmas story must be like. Jesus did not come to meet our expectations or desires—he came to meet our needs. George MacDonald puts it this way—‘We were all looking for a king to slay our foes and lift us high, but thou camst a little baby thing, that made a mother cry.” Jesus came as he did to make clear that no one and no place however humble was beneath his dignity, and every age and stage of life he would hallow, and save and sanctify. 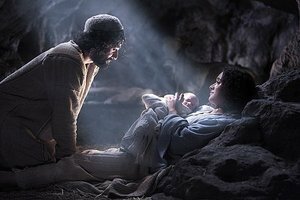 The question for us this day is—do we still have the capacity to be surprised, enthralled, by this remarkable Christmas story? Do we still have the capacity to see all things new, once more? Can we approach the story like a child—eyes wide open, mouth agape? Can we make him room in our homes, even if the calendar is full, and the head count high on the homefront. I certainly hope so. Jesus traveled a long way to dwell with you Immanuel, especially at this season. Will you not kindly make him room in your abode, however humble? The old medieval Christmas poem said 'though Christ a thousand times in Bethlehem be born, if he's not born in you, your heart is still forlorn.' Let me just tell you however, if you let that Guest into your inner sanctum, even if you put him in the very back, he will surely take over and become the center of attention in due course. For me the payoff of this sermon is the reminder: Jesus did not come to meet our expectations or desires—he came to meet our needs. My friend and Executive Presbyter, Rev. Dr. Steve Yamaguchi offers this challenging and hope-giving perspective on December 7. This is the first time that I have ever thought of the anniversary of the bombing of Pearl Harbor always falling during Advent. As a pastor under Steve's care, I am very often the beneficiary of his pastoral voice and prophet insight. Today I'd like to share that with you. I hate this day in history. I hate what the military leaders of Japan did to murderously ambush so many at Pearl Harbor. I grieve for how it triggered so much hate and fear among Americans that some Americans would take others of their fellow citizens and, just because of their Japanese ancestry, put them in wretched prison camps for four years. Those internees included both my parents and all their siblings (plus all my grandparents who were not citizens). I recall friends in Japan who tell of their years of deprivation and terror and starvation. I grieve for the terror and warfare that afflicted the whole world. And I remember with sadness the post-WWII years of “jap-hating” during which I grew up as a young boy. I recall how I as an American born citizen was regularly condemned as “Made in Japan” – which was not a compliment in those days. So I hate Dec. 7 in history. And yet, I am filled with thanks for the grace of God we receive in Jesus Christ. I am thankful for the love by which I am saved, and for the joy in which we can live. I give thanks to God for the Presbyterian Church in which I came to know Jesus. And I give thanks to God for you every time I think of you, for you are Christ’s very body for me and his instrument through which I so palpably enjoy the delicious fruit of the Spirit – “love, joy, peace, patience, kindness, goodness, faithfulness, gentleness, and self-control.” In a world filled with hate and fear and the evil that raised its ugly head on December 7, 1941, we who serve Christ have a Good News of love and hope for this world. While I hate the memory of December 7, I cherish the memory we celebrate on December 25. This I remember with joy and thanks and hope.